Out of all the cities we have visited in Canada so far, Montreal is probably one of our favourites. Effortlessly cool and confident, the city has a vibrant soul and an eclectic mix of people, culture, art, design and ideas. Known for it's food and nightlife, we knew Montreal would have a great coffee scene. So we were excited to see what it had to offer. We spent just over a week in the city, mainly in the downtown area; and in that time managed to taste some great food, find some awesome bars and, of course, drink some amazing coffee. On our first day of exploring the city, we decided to head to the area of Old Montreal to peruse old buildings, cobbled streets, statues and the famous Notre-Dame Basilica. 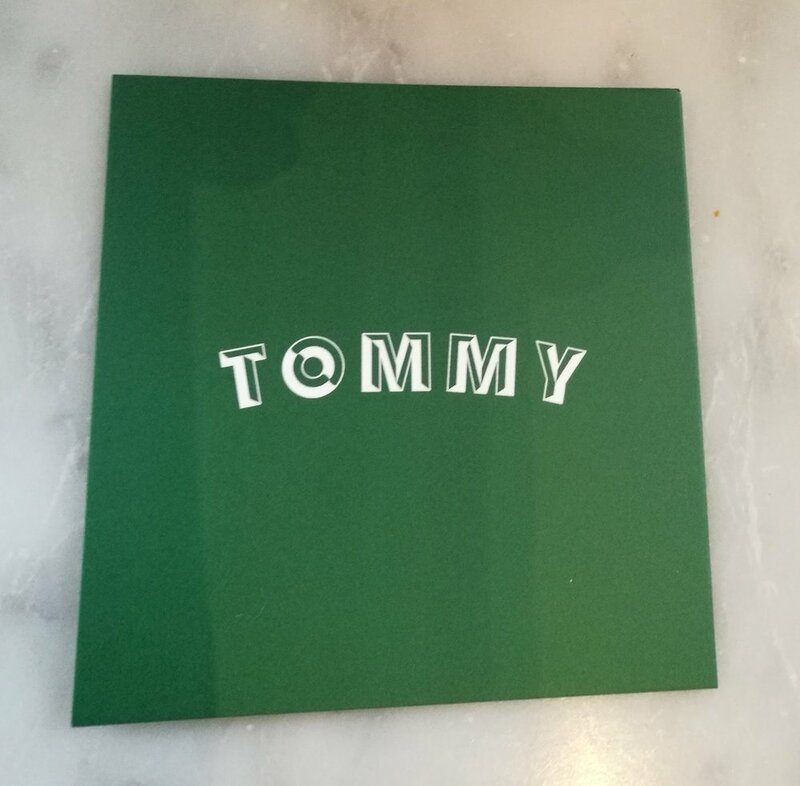 We also had a Café in mind that was conveniently situated a block from the Basilica, so we headed through the cold, snowy morning to find Tommy. The café was in an old, corner building with heavy wooden doors. Once we stepped inside, it was warm and bright, with lots of hanging greenery. The interior had been transformed into a light-filled, modern space, while still using some of the older, elegant fittings. It was busy, but the service was efficient and pleasant. We ordered a Latte, a Macchiato, and a French sweet treat; a Brioche à tête. After some brief shuffling, and subtle eyeing up of who looked like they were finishing up, we managed to nab some seats with a view of the barista at work. Overall, it was a little cramped, but the experience was a good one. The coffee tasted good and the milk had a nice texture. The brioche was really good; light, fluffy and just the right amount of sweetness. On our second day of exploring the city, the snow had gone, and in it's place was a blue, sunny sky. Perfect Spring weather for walking and exploring a city. Café 1880 was another coffee shop that we just happened to walk by, not far from where we were staying. 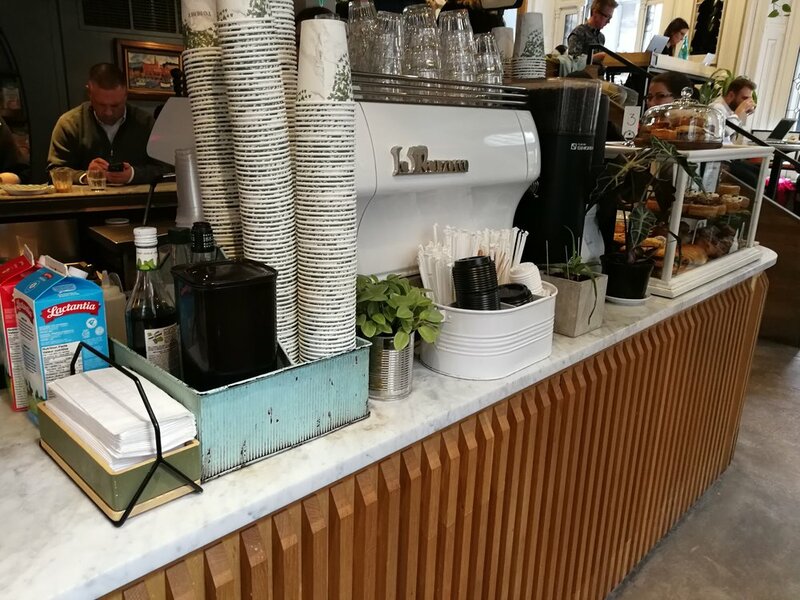 It had the standard minimalist decor of many coffee shops, but a nice colour scheme that included black, pale wood and teal. A small space, but smartly fitted out and we happened to catch it at a quiet time, so ordering and finding a seat took no time at all. 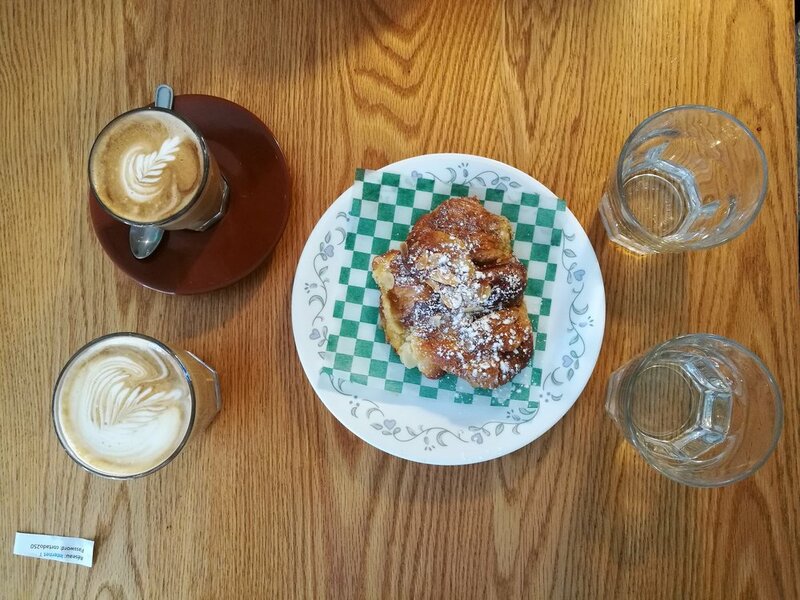 They had a good selection of baked goods and treats, so we decided to try an Almond Croissant, along with our coffees; a Latte and a Flat white. The croissant was delicious - but then again, we were in French Canada, it was hard to find a pastry that wasn't. The milk of the coffees had a beautiful velvety texture, though the strength of the espresso was a little on the weak side for us. Next time we would check the espresso to milk ratio before ordering. By now, the cold spell seemed to have left Montreal, and in contrast, the days were sunny and warm. We wanted to make the most of the sunshine and fresh air, so we walked towards Mont-Royal, the well-visited attraction where the city gets it's name from. We were in for a short, slightly steep climb to the top of the Mount, to see amazing views of the whole city. Along the way, we had a Café in mind that we wanted to visit, but once we got there, we found that it was closed on Sundays. So we carried on, in the hope that we would find something else. When we first came across Café Nocturne, we were a little apprehensive. The branding and decor of the shop front was very minimal, so much so that we weren't even sure it was a café until we got closer. Then we thought it might be a little too "pretentious hipster" for us. However, we were intensely feeling the need for coffee, so decided to give it a try. Once we entered the café, we were pleasantly surprised. The inside, although small, was light, bright and kind of cosy. There was a steady stream of customers, and no spare seats, but we were taking our coffees to go, so we didn't mind. Just one barista was working the till and coffee machine, but she was friendly and doing a good job. She managed to serve customers, grab food and make coffees pretty quickly. We got a Latte, a Cappuccino and a chocolate chip cookie to share. The coffee was really good! Probably one of the best coffees we've had, not just in Montreal, but in Canada. And the cookie was delicious too. We were feeling pretty happy after discovering this hidden gem, and now felt ready for the hike up to the top of Mont-Royal. The next place we visited, was a little bit different to the cafés we usually frequent, but it was a very comforting experience. If you've never visited a Cat Café before, it's definitely an experience worth considering. The idea originally started in Taiwan and became popular in Japan. Now you can find Cat (and other animal) cafés in many different countries around the world. These cafés aren't really about the coffee and food experience, though many of them do have menus and offer a selection of things to eat and drink. The purpose is generally more about providing a place for people to relax and spend time with animals, as a way to relieve stress. All of the cat cafés we have visited, have adopted and/or rescued cats and have a strict number allowed in residence at one time. There are also rules in place for the customers to follow, in order to be respectful of the animals' space. On each table, alongside the menu, their were bio's of each cat, and a guideline on whether they did, or didn't like to be touched. 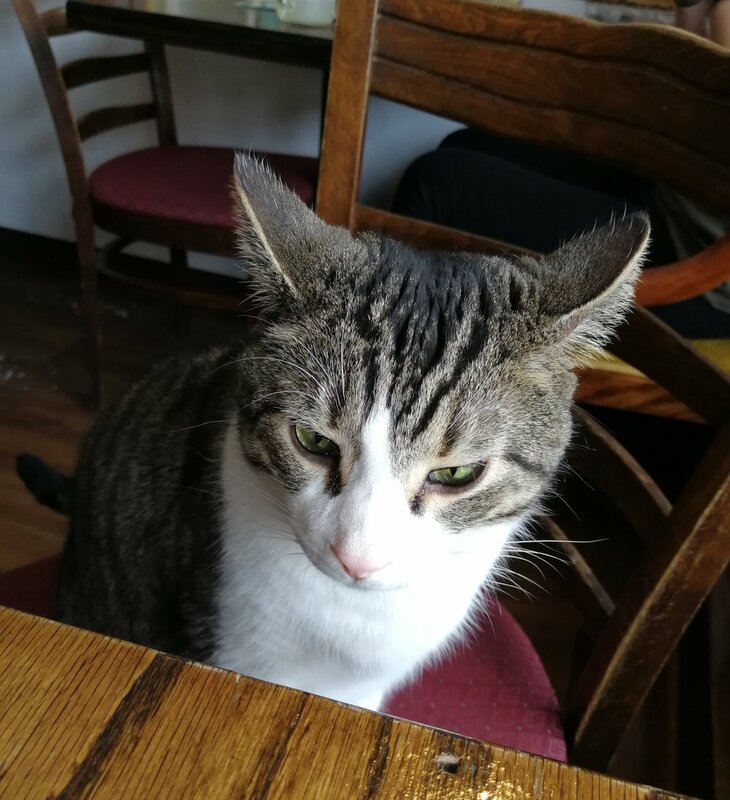 There was a minimum order/entry fee, so we ordered a Ca-purr-ccino and Iced Tea, to sip at while watching the kitty cats. As said earlier, you don't really come to this kind of place for the coffee; the ice tea was refreshing, but a little too sweet and the cappuccino seemed to have been made by a capsule-like automatic machine and was boiling hot. But it was a small price to pay in order to spend some time with these furry little friends. We had a great time visiting Café Chat L'Heureux, and enjoyed just relaxing and watching the cats go about their day. There's something ultimately calming and comforting about hanging out with the cats, and we definitely left feeling a lot happier than when we went in. 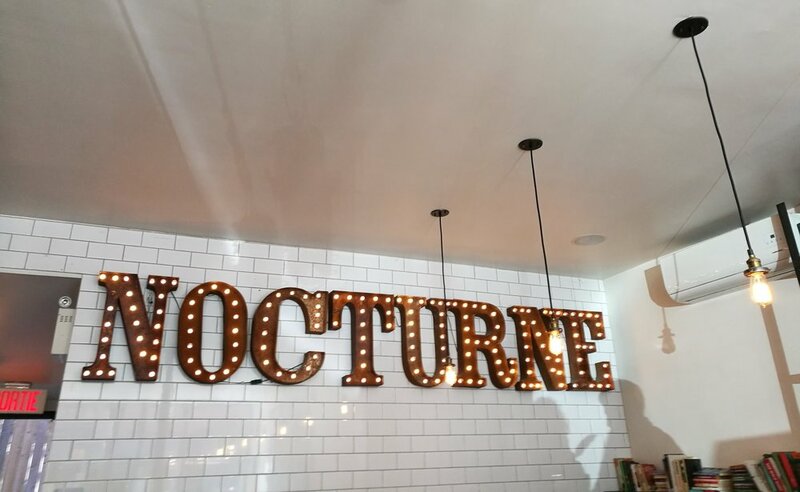 We liked Café Nocturne so much, that when we happened to be back in the neighbourhood, we took the chance to go back for a second taste. This time we decided to sit in and enjoy our coffee, so we found a sunny spot on a big table in the middle of the café. We ordered lattes, and noticed they offered Oat milk as an alternative, so we tried it with one of the drinks. The Oat milk was a great tasting milk alternative. It didn't affect the overall taste, nor the texture of the drink too much. Of all the milk alternatives we've tried, this is probably the nicest. Second time around, the staff weren't quite as friendly as the barista we had the first time, but they drinks were still very good. 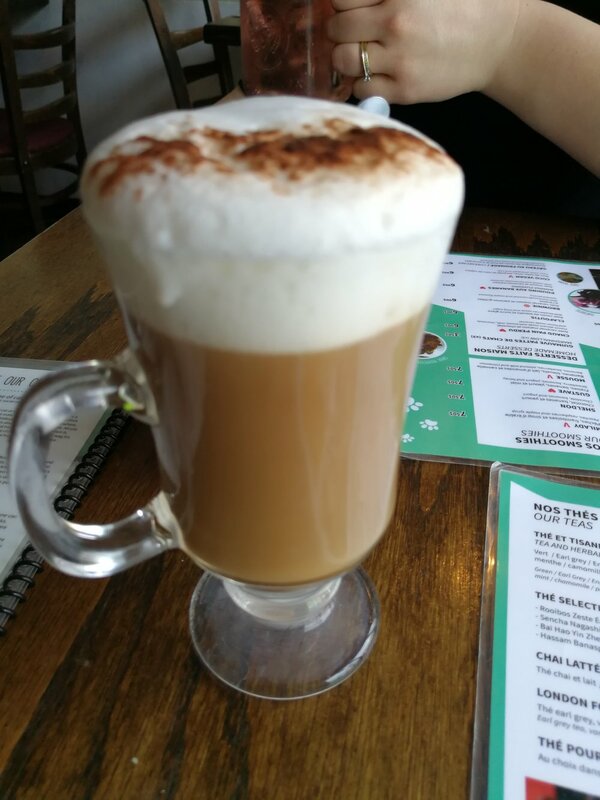 After visiting and really enjoying our experience at the Quebec City branch of this café, we were keen to try the Latin Quarter version in Montreal. We were not disappointed. Saint-Henri Montreal made us some fantastic coffees, just like the one we visited in Quebec city. The staff weren't overly friendly in this branch, but they got the job done. We ordered Lattes, and they also had Oat milk as an alternative, so we tried it again. The barista managed to pull off some pretty latte art, even with an alternative milk. The taste and quality of the coffee was excellent. Along with the drinks, we shared a piece of Cinnamon bun loaf, which was a delicious sweet treat to compliment the drinks. We really enjoyed our time in Montreal, and highly recommend it to anyone visiting Canada. While Vancouver and the West coast might be "beautiful", Montreal has a certain unique and eccentric vibe that comes from combining the food, arts, music, personalities and culture of the people that inhabit it. 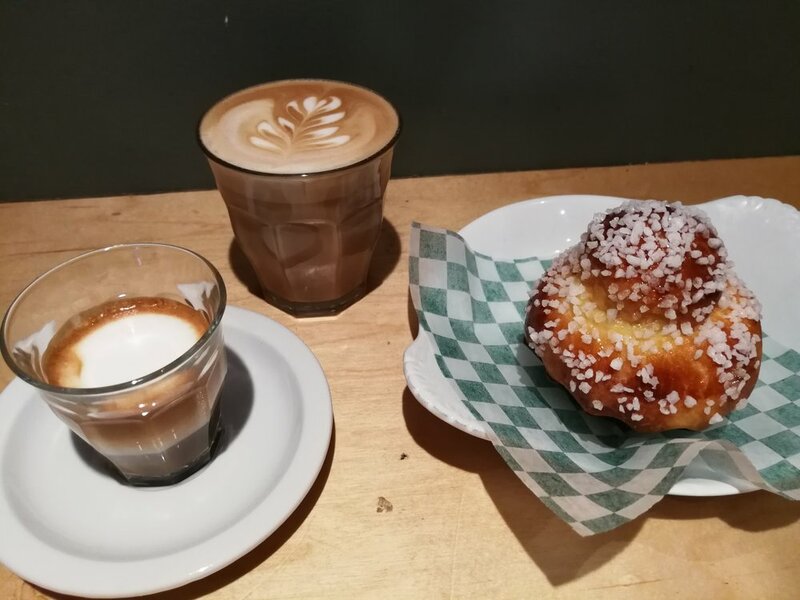 In our short time there, we managed to get a taste of what the city had to offer, but we know it was probably only the tip of the iceberg in terms of Montreal's Coffee scene. We hope to go back one day, and if so, delve a little deeper, and travel a little further in search of a good cup of coffee.